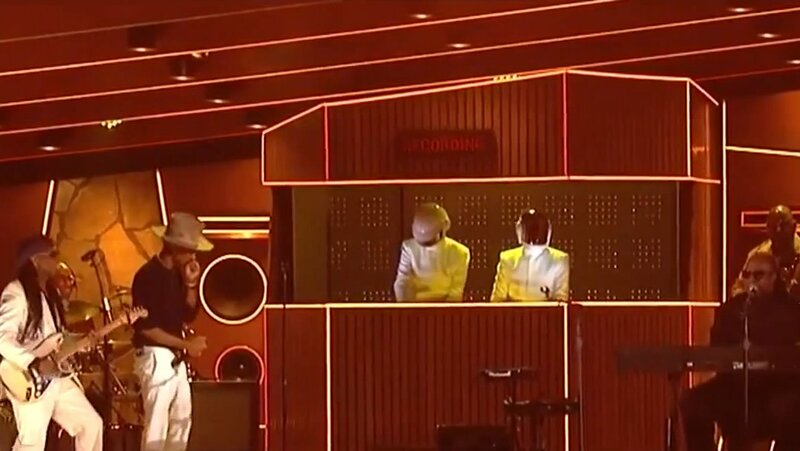 In a night during which they'd win both the Album and Record of the Year awards, Daft Punk performed their smash hit "Get Lucky" with Nile Rodgers, Pharrell and Stevie Wonder at the 2014 Grammys. Watch the all-star rendition above. Surprisingly, this marked the helmeted duo's first live performance since the 2008 Grammys, when they performed "Stronger" with Kanye West. Another surprise was the presence of DP's signature (albeit white) headgear, which many news outlets reported would be replaced by Stormtrooper helmets during the awards show. 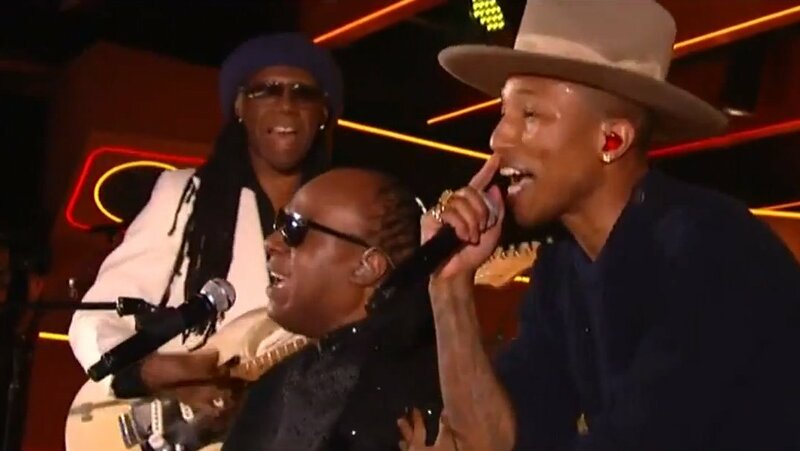 As is a frequent occurrence for Grammy performances, this version of "Get Lucky" incorporated elements of several other songs, namely Daft Punk's "Harder, Better, Faster Stronger," "Around the World" and "Lose Yourself to Dance," Chic's "Le Freak" and Stevie Wonder's "Another Star." Seeing this multigenerational jam was truly a once-in-a-lifetime experience, one you can be sure that the various dancing stars in the audience will not forget any time soon. 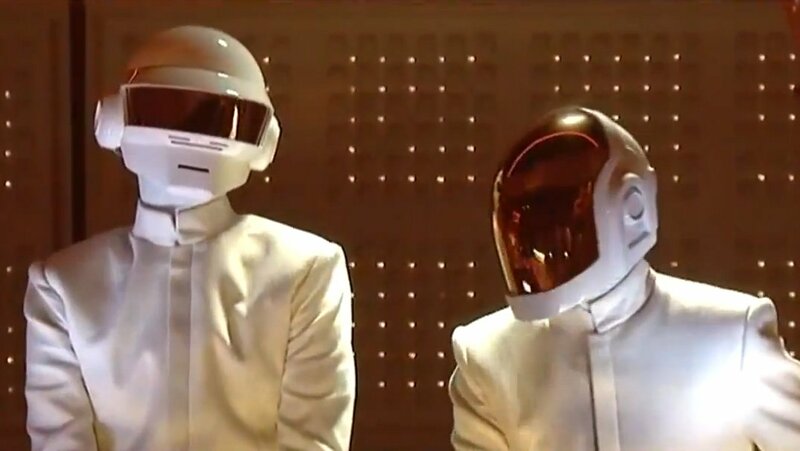 For more Daft Punk, visit their Zumic artist page. For more Grammys, check out performances by Lorde and Metallica right here on Zumic.